There are two impressive waterfalls on the Panther River at that location! I do believe the falls you describe are 600 feet high. 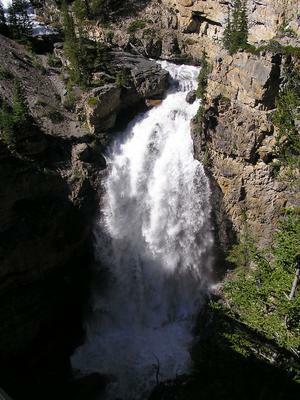 The lower falls are almost beneath the green bridge at the bottom of the wide curve in the road (the Big Bend) south. There is no sign or parking for these falls but they are worth the stop on the side of the road on either side of the bridge.